Here we are at the end of National Save for Retirement Week. I hope you’ve learned how important it is to save for your retirement. I give myself a B because I should be saving a little more. I am currently saving 6% of my income in a traditional account (with a 5% match from my employer) and 2% in a ROTH (after taxes). According to the Merril Edge Personal Retirement Calculator, I will have a monthly shortfall of around 30%. For example, if my necessary monthly income were $1,000, I would be short $300 per month. I am ok with this decision because I will receive a pension and social security (yes it’s ok to include social security in your calculations). Those combined will be 30% of my monthly income. 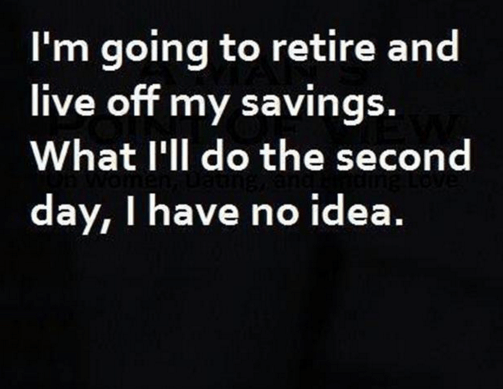 I also plan on eliminating ALL of my debts before I retire! Notice these calculations are based on income not expenses! I expect to have lower monthly expenses in retirement. I’d like to know how much you are saving for retirement and what grade would you give yourself. I give myself a C. I will have a pension. In the future, I need to save more. I would say you are doing well when compared to only one person-yourself! Save what’s comfortable to you! I don’t stress myself out trying to save the max because I know that I’m good with adjusting my budget when necessary! I contribute 6% to my 401(k), which nets me a 3% match from my employer. I also receive profit sharing, which is usually 5%, for a total contribution to my 401(k) of 14% of my salary. Unfortunately, these percentages are not applied to my annual bonus. I no longer contribute to IRAs because Traditional is not an option due to income and employer 401(k) and our household income is beyond the Roth IRA limits. My focus is investing in rental real estate, which will provide a stream of income through my retirement and will be passed on to my children and grandchildren. I’m up to 6 rentals, with the goal of adding 4-6 more properties before the end of next year. That’s awesome on the properties. I own 3 units (in 2 states). I’m not sure if I’m ready for more! I really don’t understand why the income limits on saving for retirement. We are penalized for being smart with our money! My savings score would maybe a C+. I’m saving with my 401K but only 2 % of my income and nothing in my personal savings. I’d get an A for the effort (or thought or intent) to save in the future once I’m completely out of debt! Do you have a company match? Make sure you’re saving enough to get that full match!